Do you have a video game lover in your house? It seems like there is one in every house these days! My husband likes to play a good video game every once in awhile and was excited to see the new Deer Drive Legends game! Maximum Family Games, a great site for a diverse selection of video games ranging in genre from strategy and puzzle to adventure and action, recently released this great game for Nintendo 3DS. 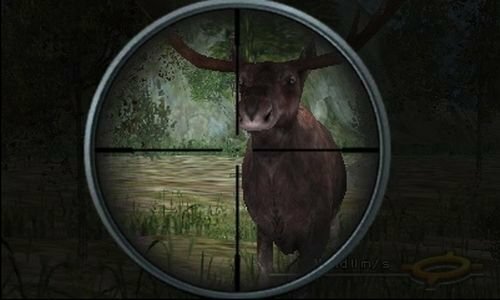 It is a great game for teen males and dads, as well as hunting enthusiasts! It features more than 30 exotic and elusive animals like wooly rhinos, white-tailed deer, wolves, and Irish elk, Deer Drive Legends takes players across four continents into famed hunting regions such as the African Savannah, Rocky Mountains, and Great Lakes to stalk their prey. As each successful kill is made, players have the opportunity to collect trophies and unlock bonuses such as new environments and weapons. Additionally, players will have the opportunity to go after prehistoric species like Gastornis, T-Rex, and Smilodon. It has awesome graphics and it is fun to unlock bonus features like new animals and environments! I love that you can hunt all kinds of animals from deer to dinosaurs and you get to use the latest hunting weapons and techniques to bring home your prize! I really love the selection of animals - saber-toothed cats, wooly rhinos, giant sloths, and more and you get to go on hunts across lush, vibrant landscapes! You even get to engage in vicious boss battles against the feared T-Rex, saber-toothed tiger and Gastornis! The game's sound effects are really great and make you feel like you're really out in nature! 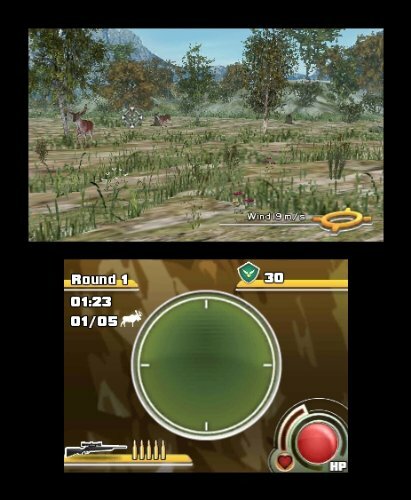 If you have a Nintendo 3DS lover in your house, get them the Deer Drive Legends game today!! But beware...they may not put their Nintendo down EVER again while they are playing this game! 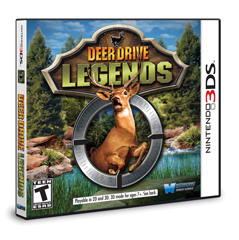 Win It: Maximum Family Games is generously offering (1) Deer Drive Legends for Nintendo 3DS to a lucky winner!